To support small Irish businesses to enhance their online trading presence, Online Trading Vouchers to the value of € 2,500 (up to a maximum of 50% of the total cost) are now available to Businesses through a programme under the Government’s National Digital Strategy and delivered through the Local Enterprise Offices.The objective of the scheme is to help small businesses grow their sales, exports and ultimately jobs. Small businesses throughout Ireland can now apply for digital vouchers to assist in helping their businesses trade online. Up to 1000 vouchers will be available for qualifying businesses through the network of 31 Local Enterprise Offices (LEOs). Last year this proved to be a huge success for our clients. Not many customers seem to be aware of this excellent scheme, especially Dublin clients with existing websites that need work, don’t seem to be aware of the fantastic support from the Local Enterprise Office to support businesses that want to trade online. With the trend ever increasing towards online spending it is estimated that only 23% of small Irish businesses are engaged in any meaningful way in eCommerce sales. For businesses employing less than ten people this percentage could be even lower. It is now believed that of online purchases made in Ireland that 70% of these are done in overseas markets. There is now an urgency to ensure that businesses recognise that this is happening and that they are encouraged and supported to correctly respond to this digital reality. Vouchers will be available to a maximum value of €2,500 or 50% of eligible expenditure, whichever is the lesser. 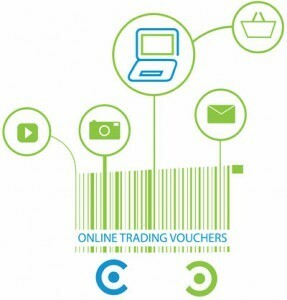 The Online Trading Vouchers can be used for the development or upgrade of an e-commerce website such as implementing online payments or booking systems. Other usage includes; purchase of Internet related software, online advertising, development of an app, implementation of a digital marketing strategy, consultation with ICT experts for early stage adopters of online strategy, training/skills development specifically to establish and manage an online trading activity. Training/skills development specifically to establish and manage an online trading activity. If you would like your company to benefit from this fantastic grant, which covers for funding up to 50% of your expenditure, please contact 2Cubed for more details. You can call us on 01-9058114 or 051-440425, email hello@2cubed.ie or else get in touch using the live chat on our website!